FUTEK presents the LSB205 miniature S-Beam Jr. load cell 2.0. A miniature S-Beam style load cell, the LSB205 has a capacity range from 0.455 to 45.5 kg, and is built for inline tension and compression applications. The LSB205 has an integrated IEEE 1451.4 TEDS chip, simplifying setup and calibration of the sensor with electronics. This unique miniature load cell also includes a PT-1000 temperature sensor, which allows for temperature changes in applications to be monitored. 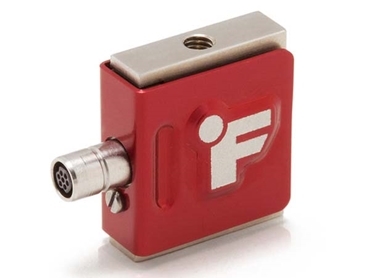 Key features of the FUTEK LSB205 S-Beam load cells include detachable 7-pin FUTEK receptacle; heat treated stainless steel flexure design; lightweight, miniature size; shock and vibration resistance; and integrated overload protection. This innovative load cell has several advantages including higher fatigue life, increased resistance to off-axis loading, and quick-disconnect cable design aimed to decrease cable rips and tears. Additionally, the cable can be easily altered to allow for custom lengths.